Catered more for the general public and setup for bulk/volume sales; of the two items I ordered, it was better than expected. Plan on trying them again! Extremely affordable. After a long time I had a good Pongal and wada, of good quality and size. Felt quite enough for a brunch. We also had a hot filter coffee and the quality was good. Overall value for money. Just excellent and excited to be back here after two decades!! Consistency is the hallmark. A must visit for all vegetarians wishing to experience the real taste of traditional food! Mouth watering delicious breakfast. Dosa, Idli, Sambal and few others side dish. Lovely and friendly customer service. Sambar is famous here. 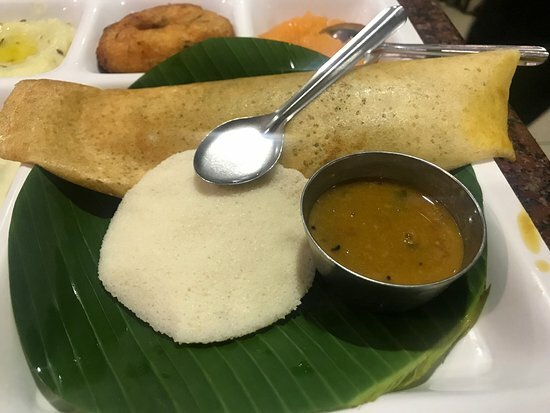 Start with idly. 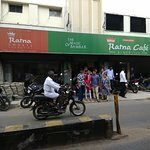 They'll fill the idly with a cup full of sambar. Very hygienic as well. Coffee is also authentic. 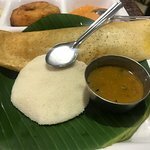 I've fell in love with the idly and sambhar. It's the best sambhar I've ever had. 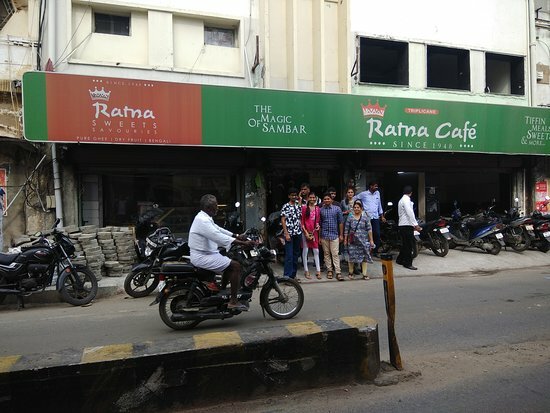 A must try one if you are idly - sambhar lover. Must recommend!! 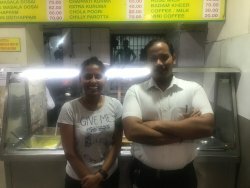 Get quick answers from Ratna Cafe staff and past visitors.